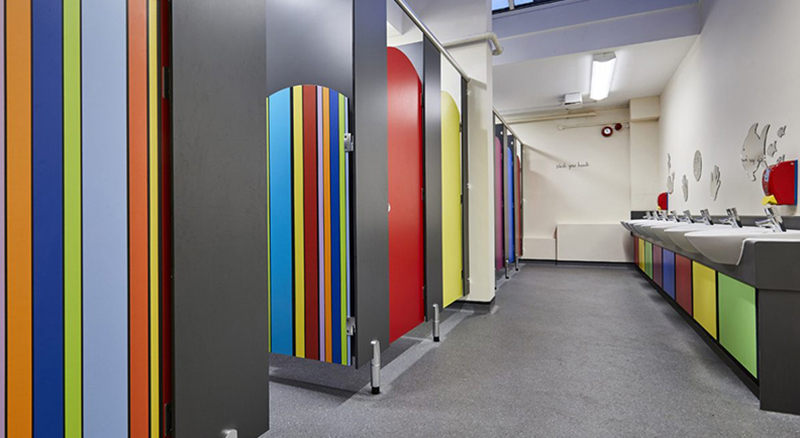 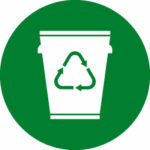 What washroom facilities should your school be providing? 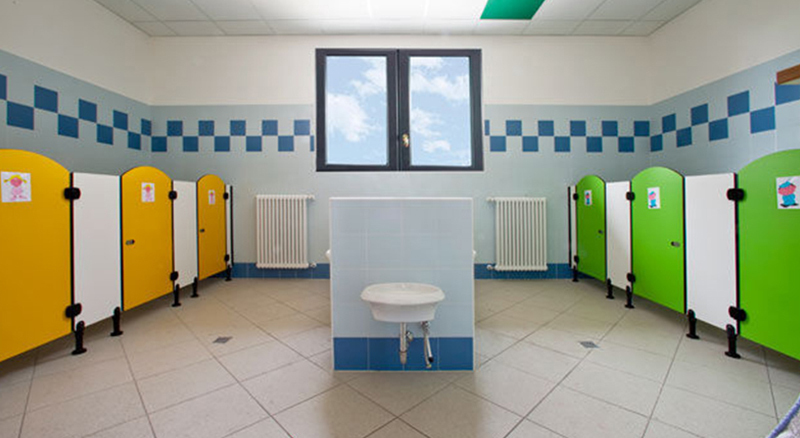 What are the major school washroom health and safety concerns? 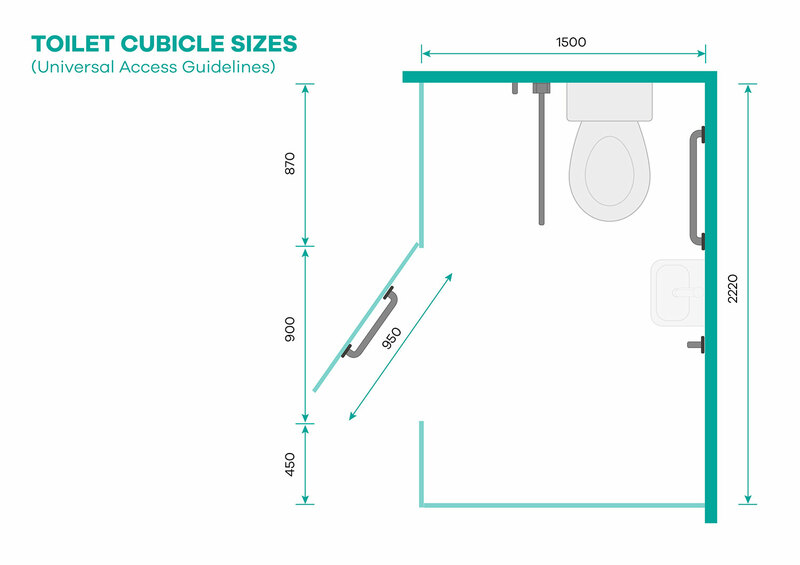 How many toilets and washbasins does your school need? 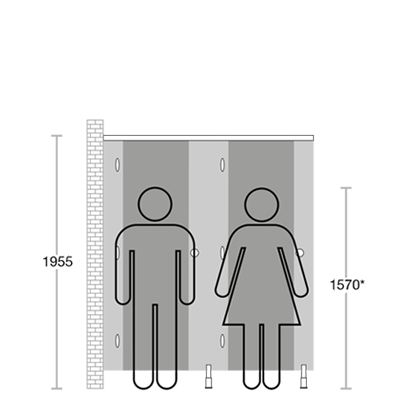 What are the age-appropriate toilet cubicle sizes for each school level? 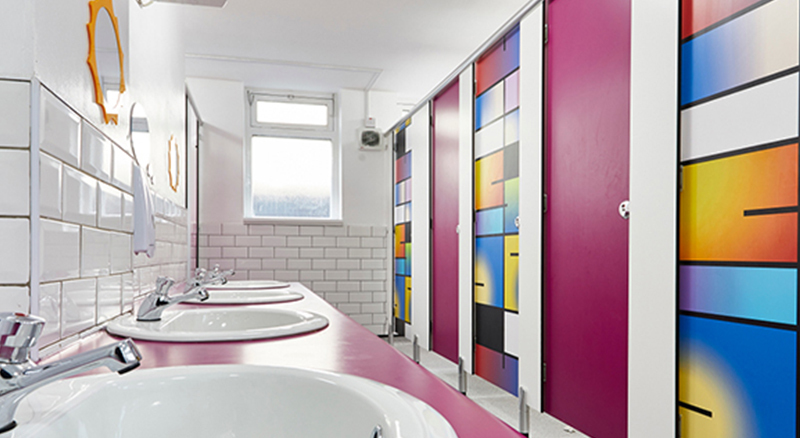 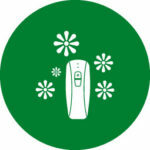 What are the best school washroom hygiene practices? 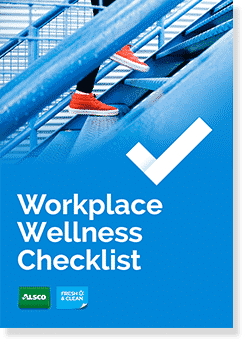 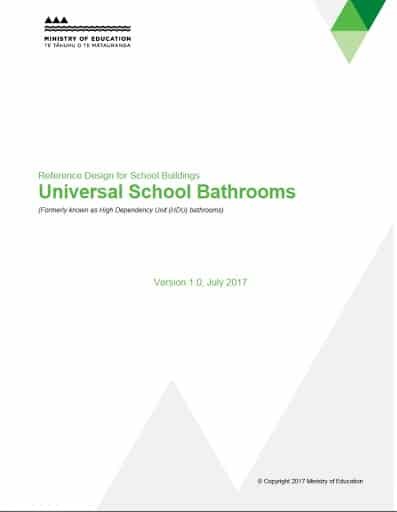 This guide provides an array of useful resources, including a collection of school toilet floor plans and free hygiene motivational posters. 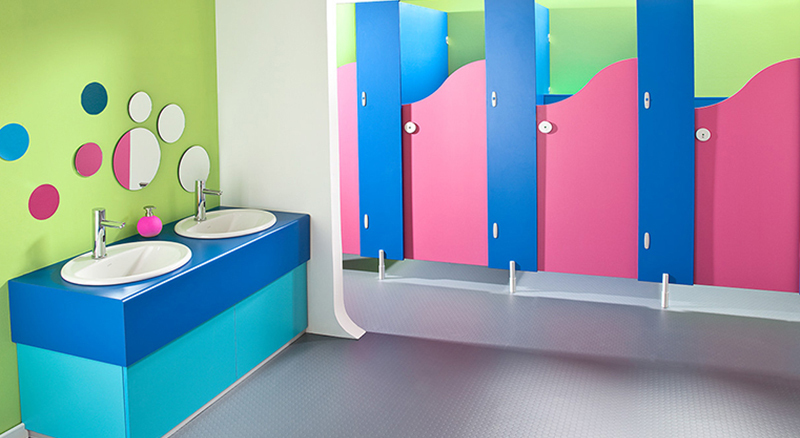 This guide was developed by Fresh & Clean to provide you with the best information for your school washroom hygiene practices. 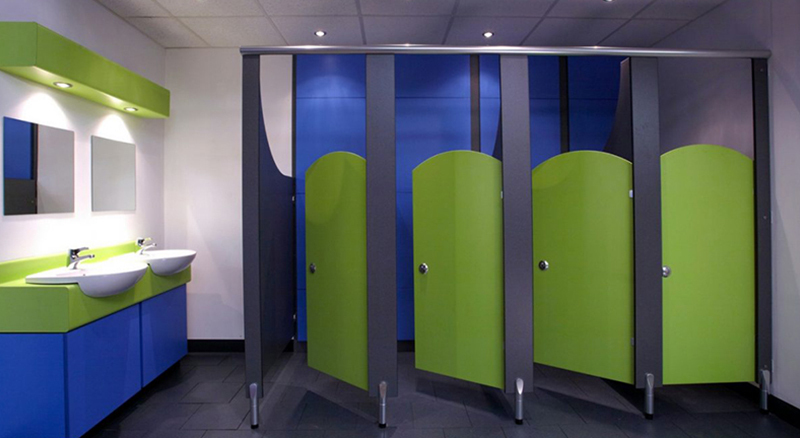 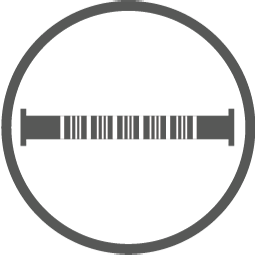 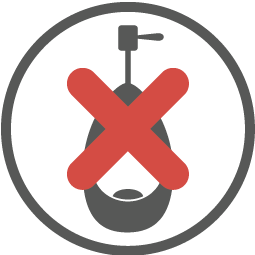 Fresh & Clean is a worldwide washroom hygiene service provider delivering effective hygiene systems to thousands of businesses and organisations across New Zealand. 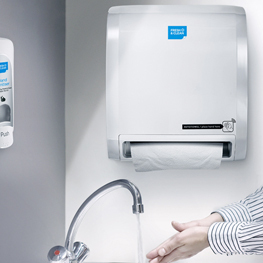 With 50 years of experience in the business, we’ve honed a tried-and-true strategy that produces spotless hygiene results. 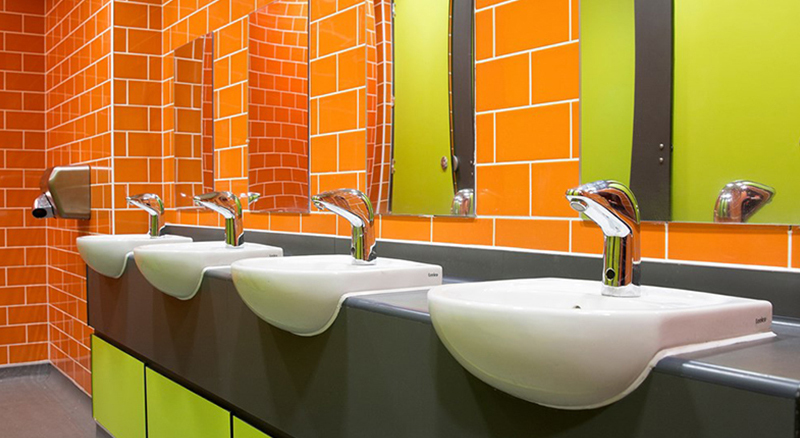 Keeping your school’s washroom fittings in good working order is one thing. 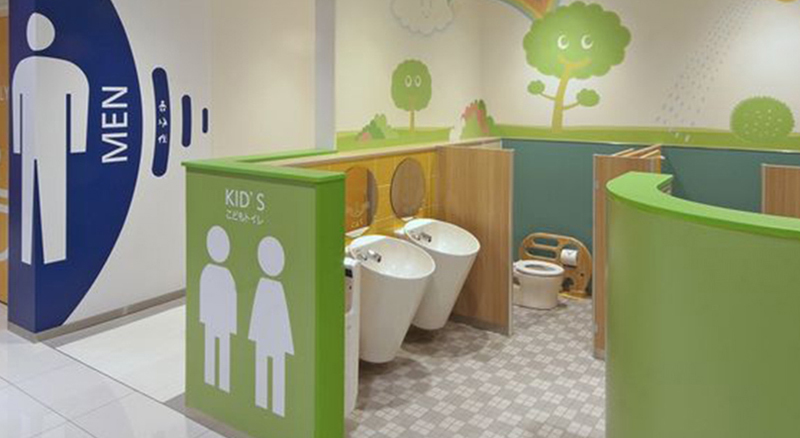 But kids touch everything. 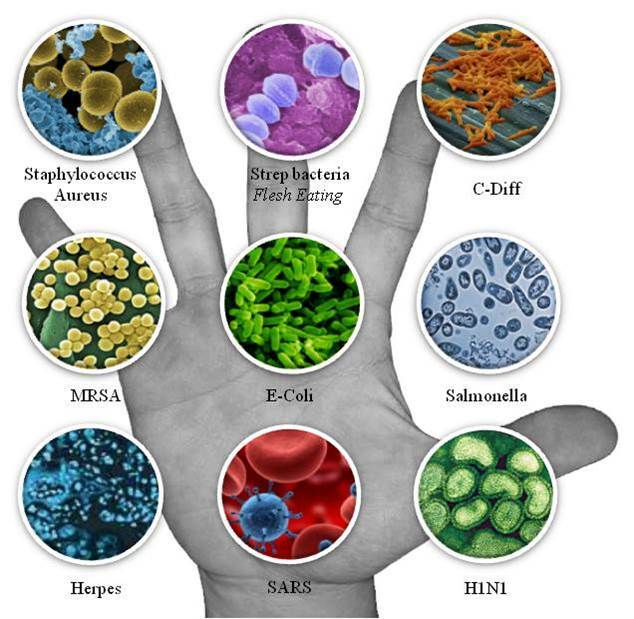 They’re the perfect vector for spreading infection. 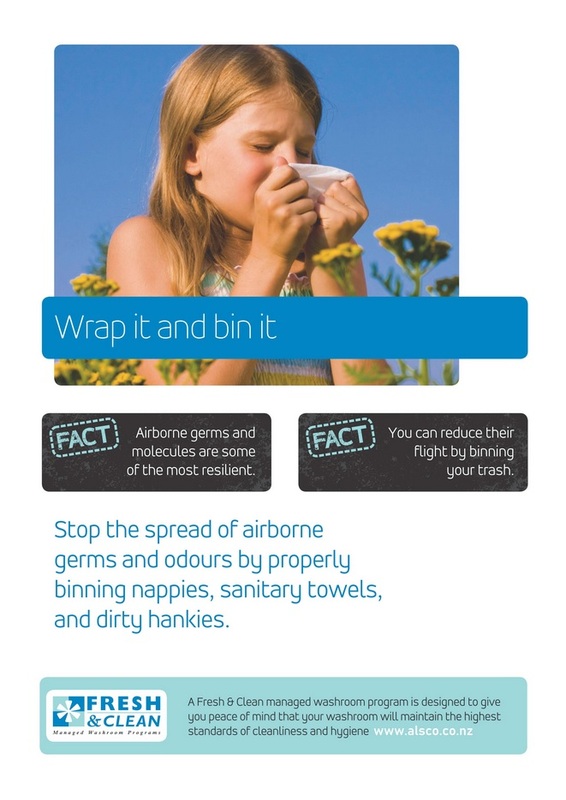 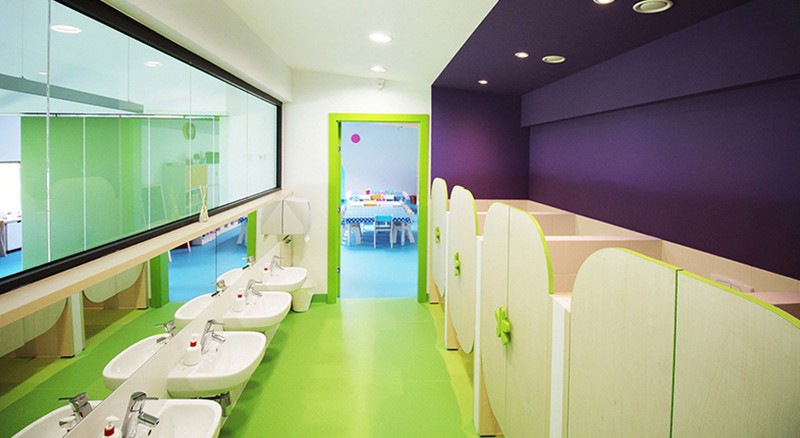 Which is why our mission is to help you promote a safe and hygienic school environment. 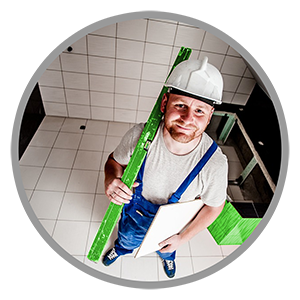 Our rental program delivers cleanliness and safety right to your door with a clear focus on energy-efficient, eco-friendly products. 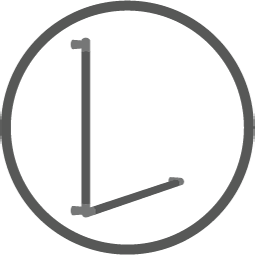 All-inclusive annual fee. 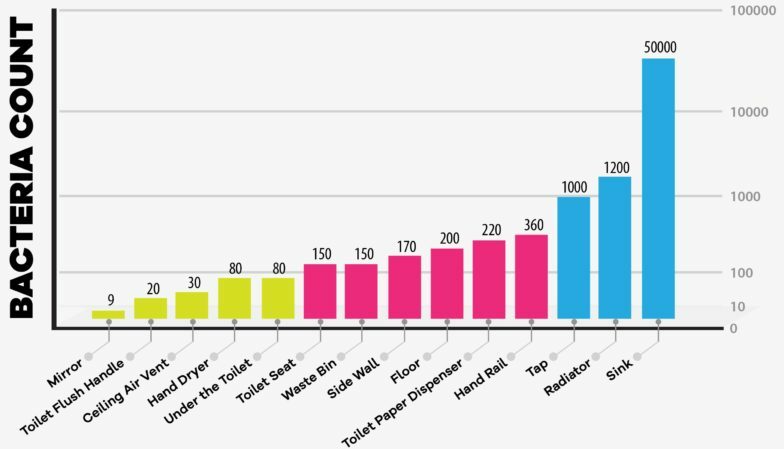 And we do all refills and maintenance. 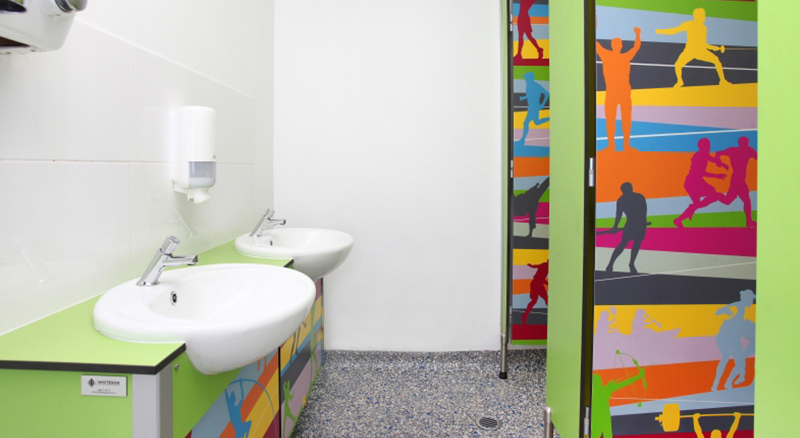 What Washroom Facilities Should New Zealand Schools Provide? 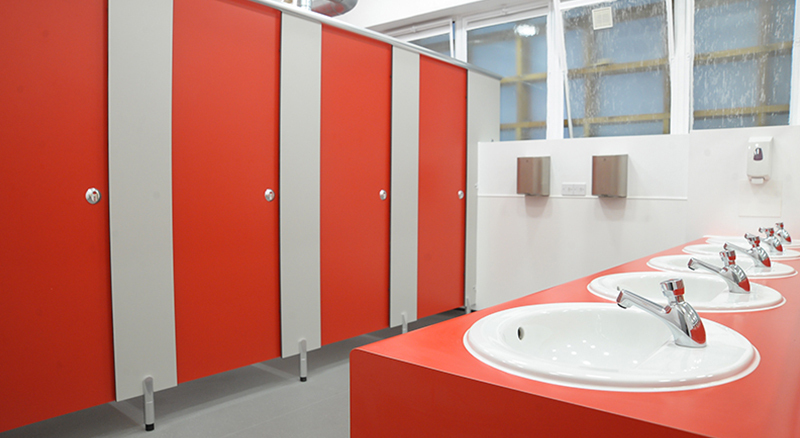 Use the following checklist to ensure your school meets the required school washroom standards. 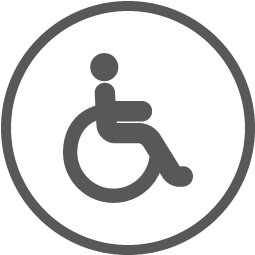 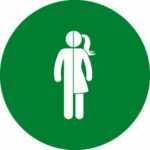 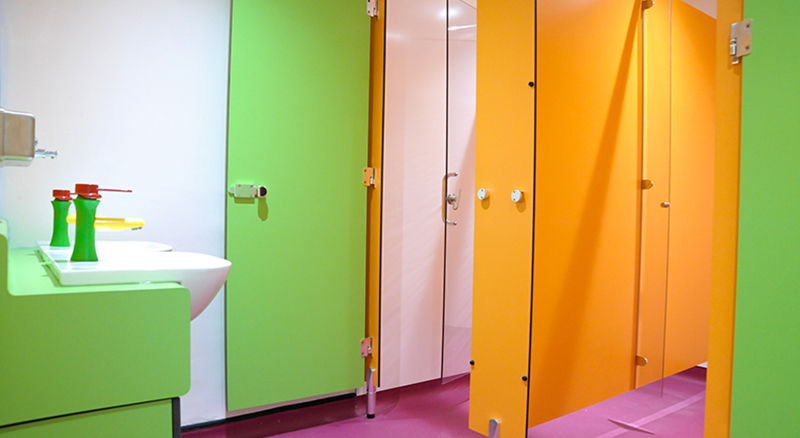 Easy access to sufficient unisex or mixed-gender toilets for students with special needs. 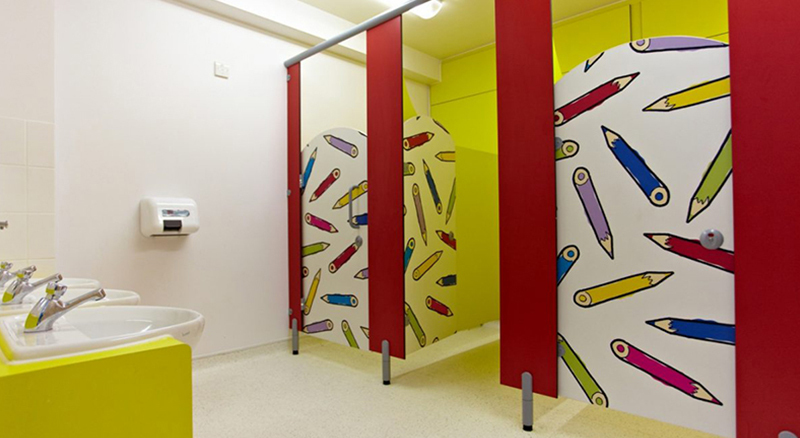 Unrestricted access to a toilet, whenever needed – always allow all children access to a toilet during school hours. 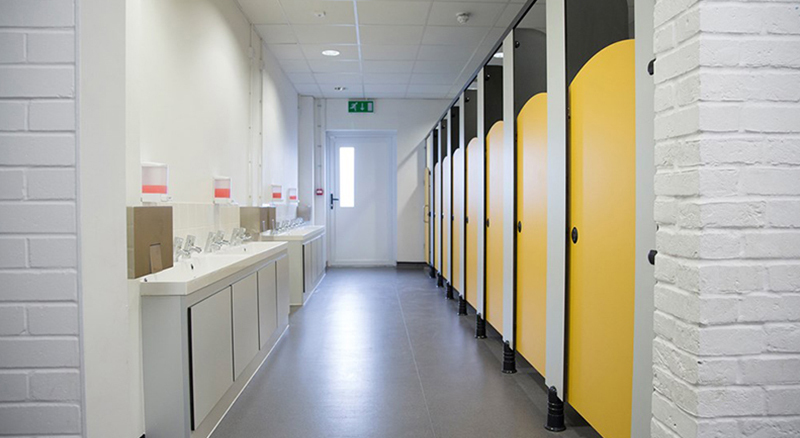 Properly equipped washroom facilities created with student age in mind, providing adequate ventilation, lighting, fittings and washroom accessories. 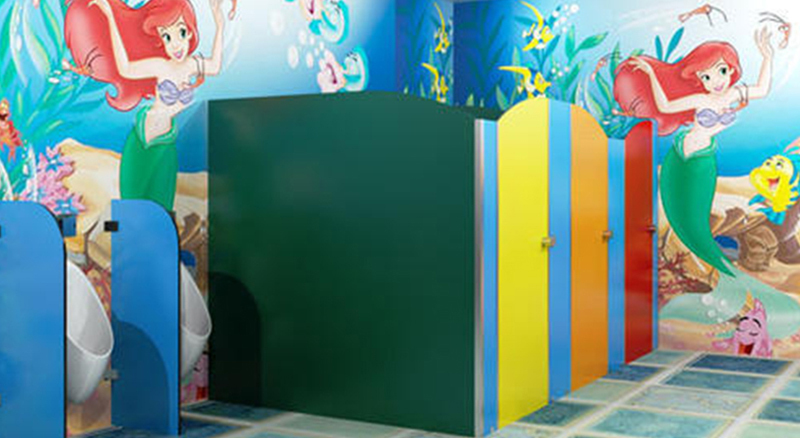 Sanitary disposal bins in all female cubicles, where age appropriate, serviced regularly. 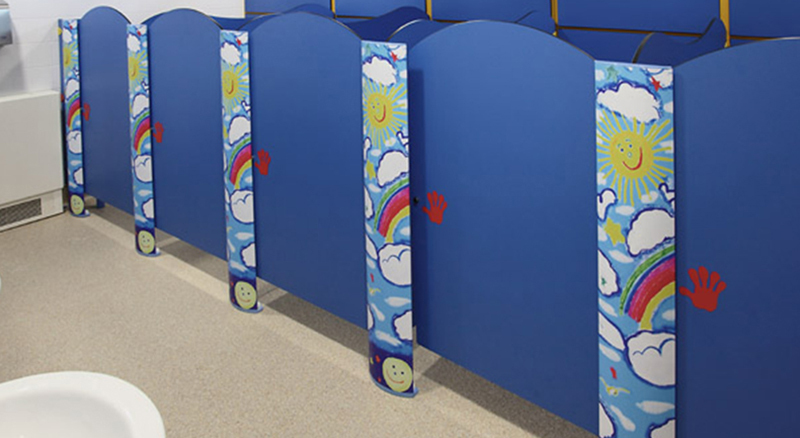 Conveniently placed toilet tissue dispensers, restocked regularly during normal school hours. 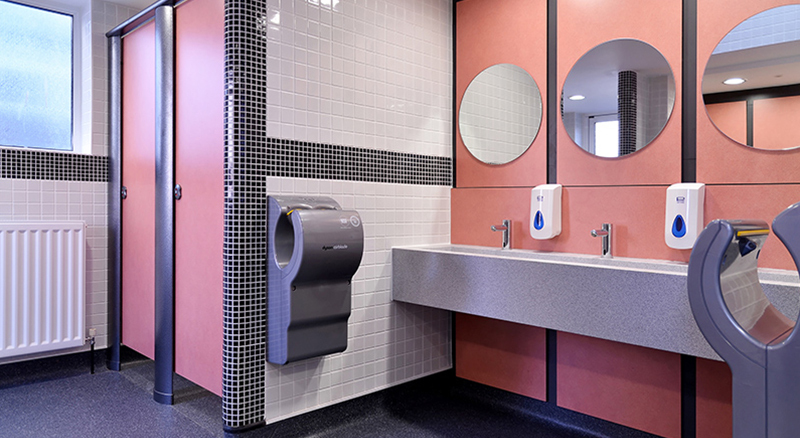 Access to hot water, ideally from a mixer tap, with wall-mounted soap dispensers and hand drying facilities. 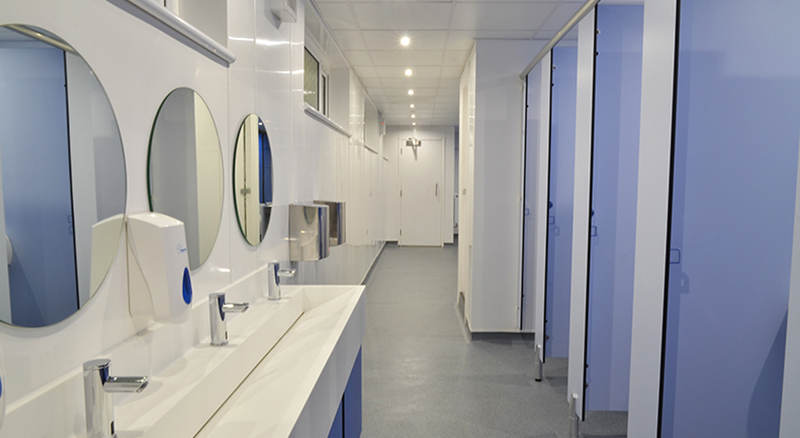 An effective washroom sanitising regimen to ensure clean, hygienic facilities at all times. 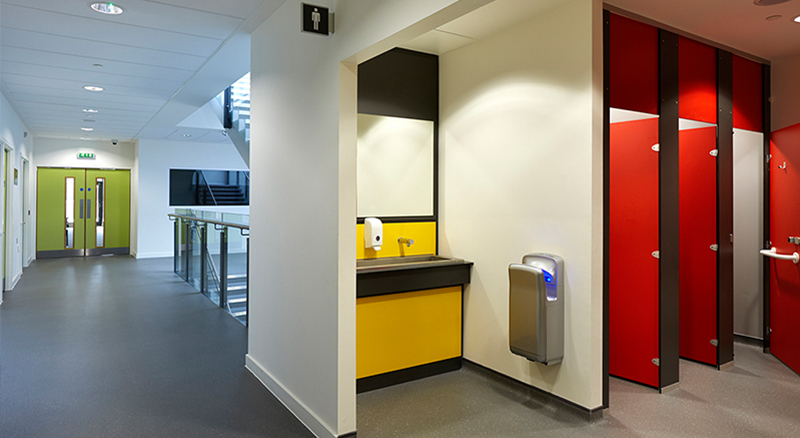 Dual access to washrooms and effective supervision regime to discourage anti-social behaviour. 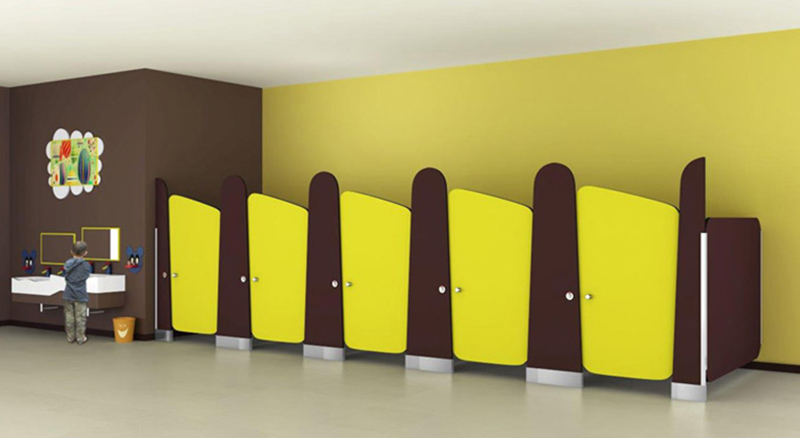 Communication platform for students, parents and staff to submit washroom-related feedback to school management. 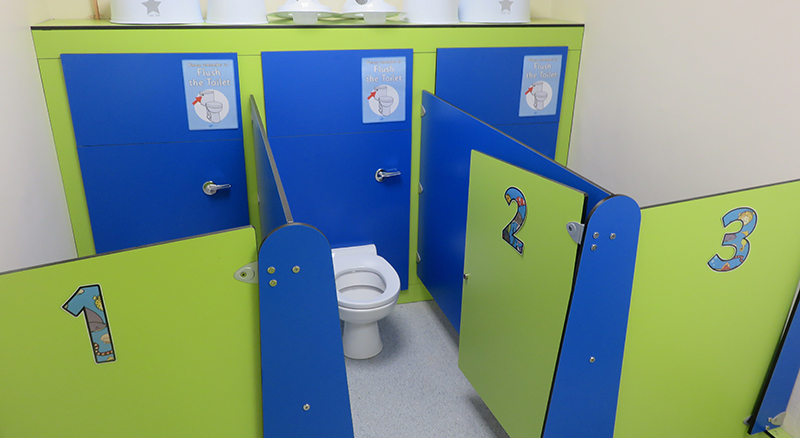 An effective school toilet management policy that addresses the main toilet issues, communicated to the whole-school community. 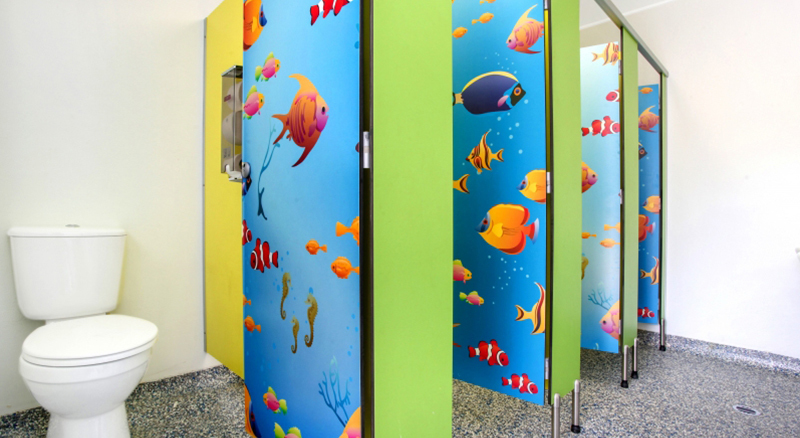 What Are the Main Health and Safety Concerns in New Zealand School Washrooms? 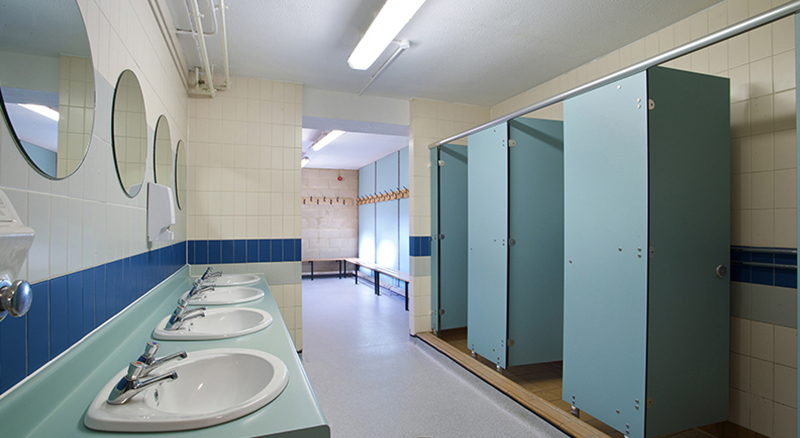 If your school was to be audited for the levels of its washroom hygiene, what would they find? 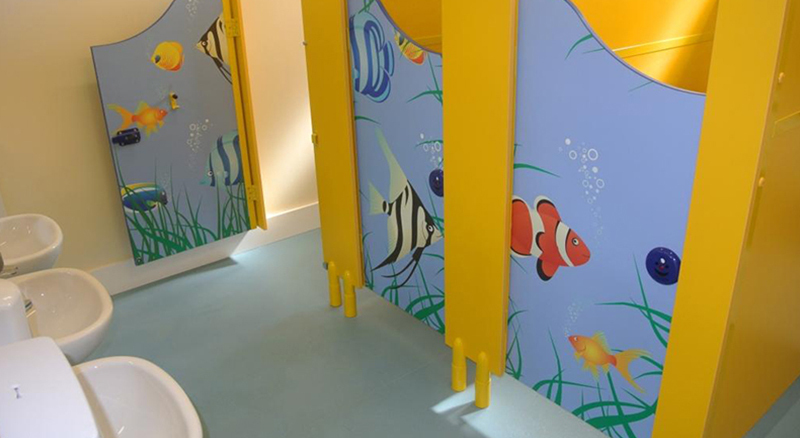 No school wants to be singled out or receive a parent’s letter of complaint about the school’s toilet conditions. 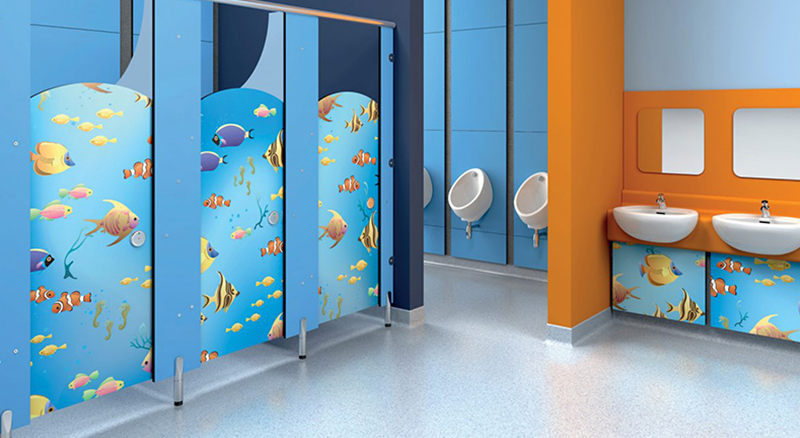 The washroom is one of the most frequented spaces in your school, mostly by students but also by parents when they’re in for parent-teacher appointments and any other visitors. 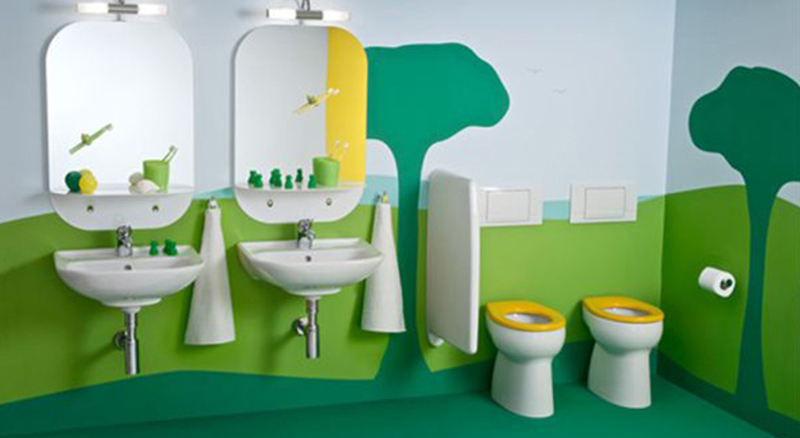 You want your school to make a good first impression. 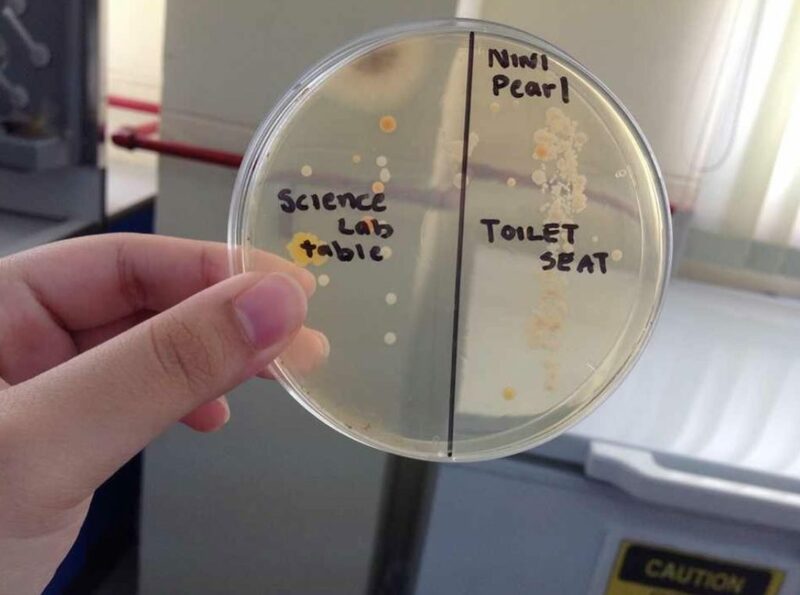 Having a well-kept washroom isn’t only about cleanliness, it’s about maintaining your school’s reputation. 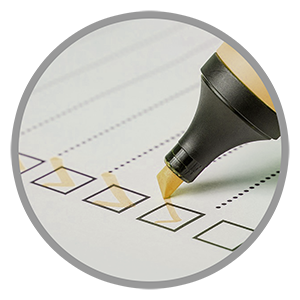 Here are some of the complaints you may get and how to address them. 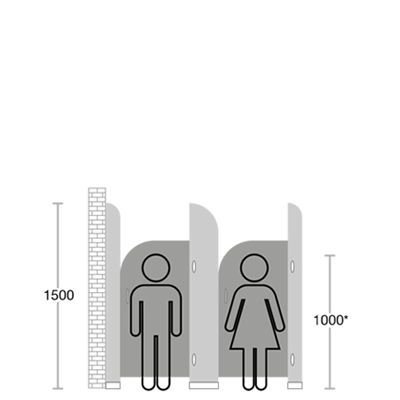 Make sure your hot water doesn’t exceed 43 degrees Celsius – the safest maximum temperature that minimises the risk of scalding. 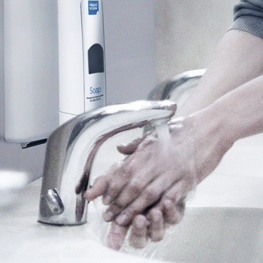 Use mixer taps whenever possible, so students can easily set a comfortable temperature that encourages regular hand washing. 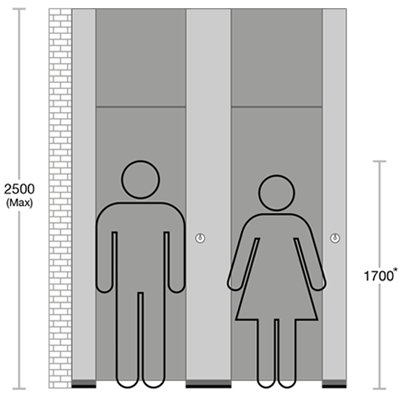 Inadequate signage is easily solved by downloading free toilet gender signs and installing them at the appropriate height. 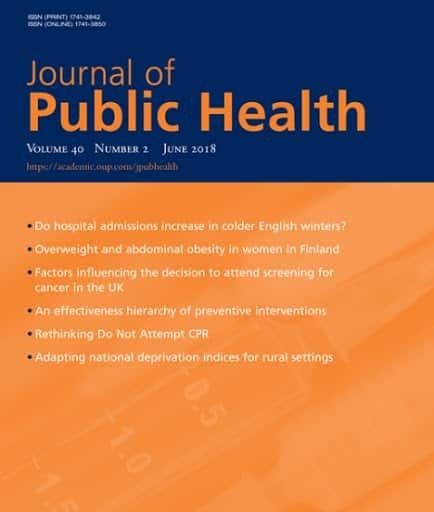 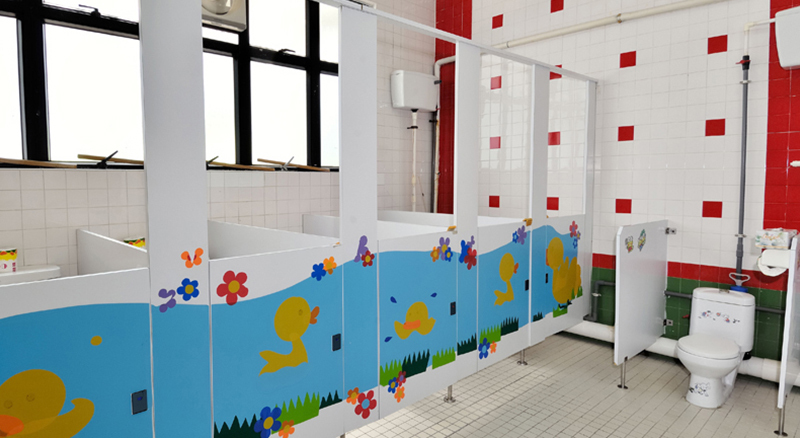 “Holding it in” has been linked to dehydration and constipation, as well as poor concentration and recurrent urinary tract infections in children. 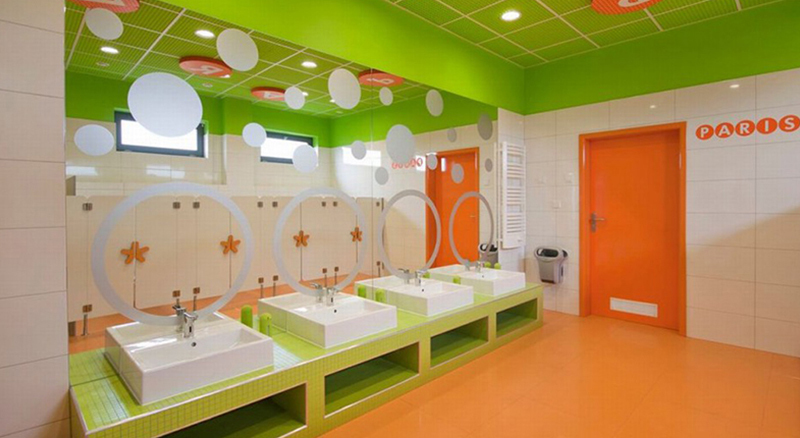 So make sure to maintain your school washrooms regularly and promote regular toilet use among students. 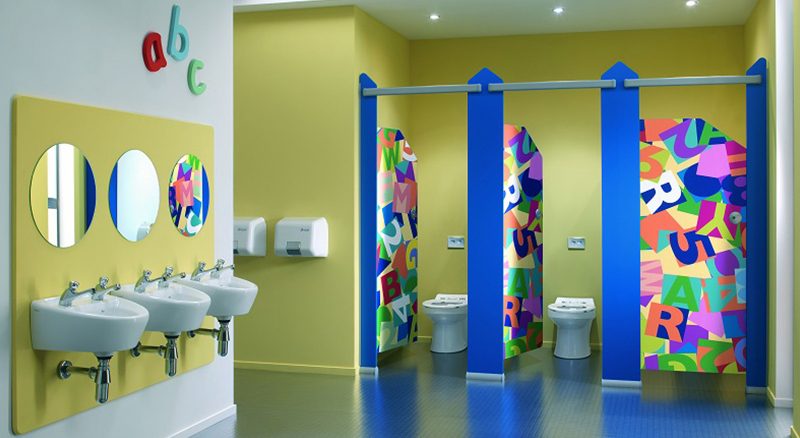 Contact the New Zealand Continence Association and use their Toilet Tactics kit to raise awareness of healthy bladder and bowel habits in your school. 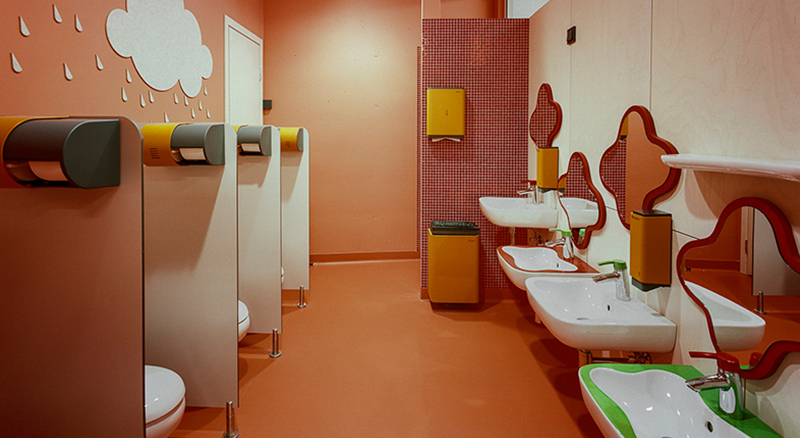 There’s no proper school hygiene without proper hygiene supplies. 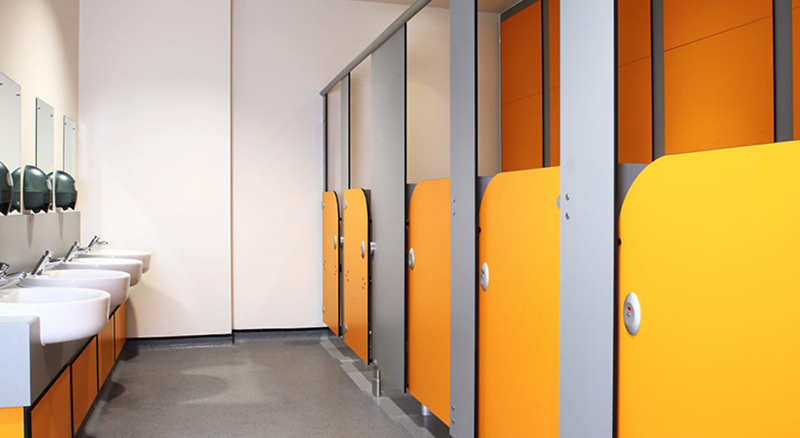 Be sure to maintain washroom standards by appointing one of your staff as a facility manager to ensure facilities are well-stocked at all times during school hours. 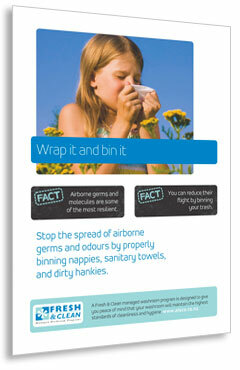 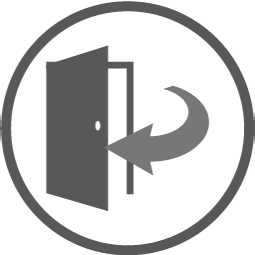 Alternatively, let the professionals take care of it for you. 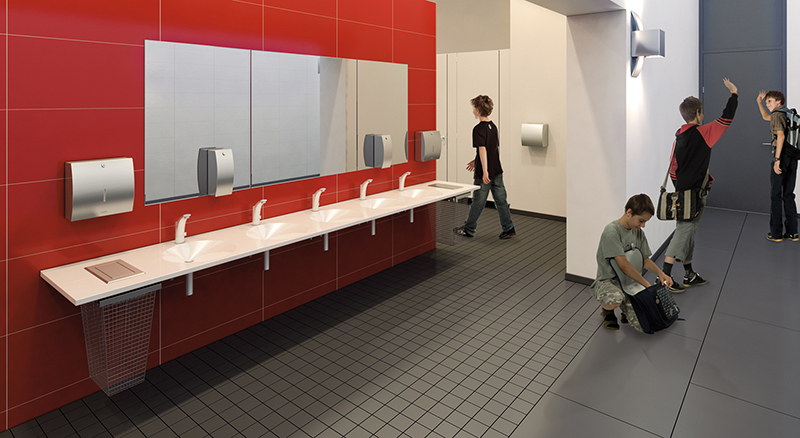 Renting washroom accessories is the quickest and cleanest solution, especially if you have large facilities to run. 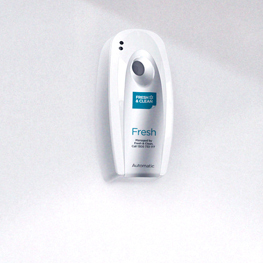 Fresh & Clean manages everything for just a few dollars a day. 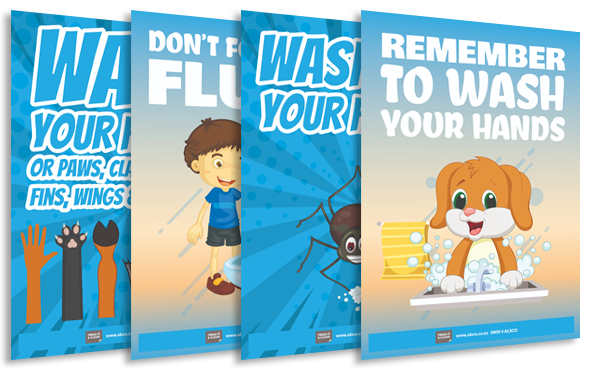 Our powerful germ-fighting hygiene products help keep your students healthy, happy and productive, even during the flu season. 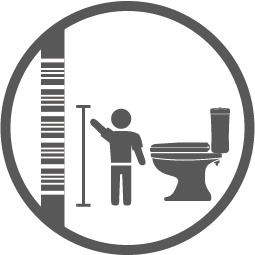 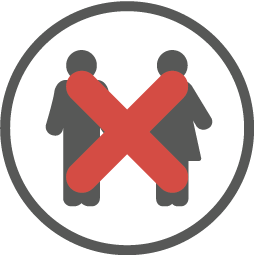 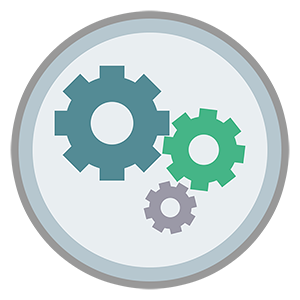 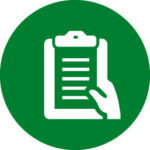 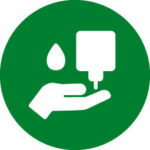 Have a look at our managed rental hygiene program today. 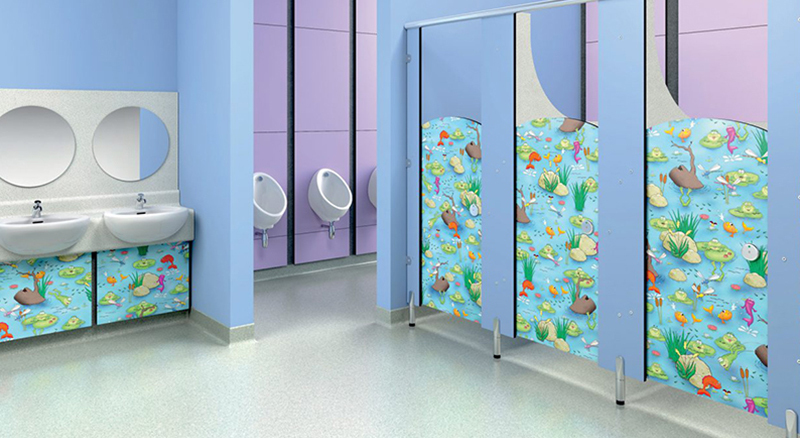 Your school will thank you. 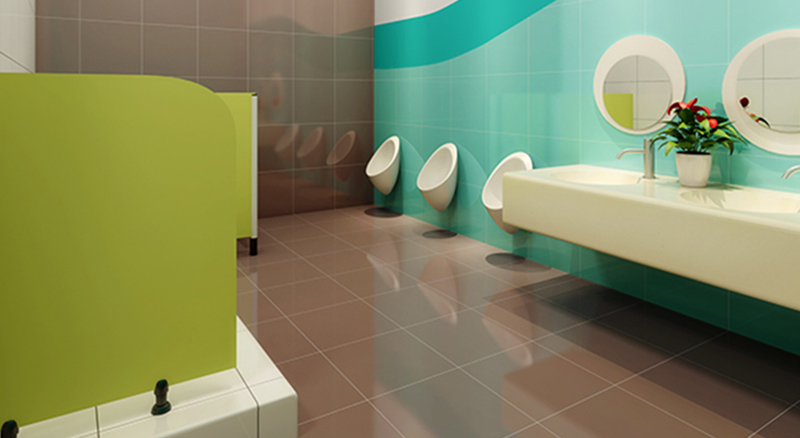 Sanitary towel disposal units should be installed in all female cubicles where age appropriate, including primary and secondary schools, and should be regularly serviced. 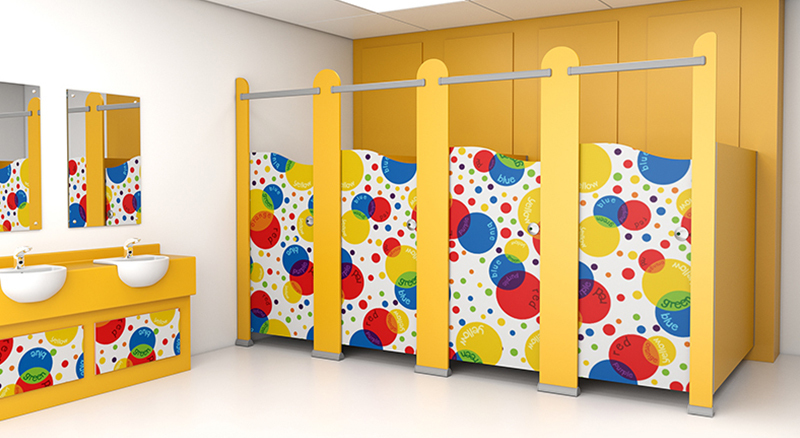 Floor-to-ceiling cubicle doors allow for added privacy, but they can compromise children’s safety. 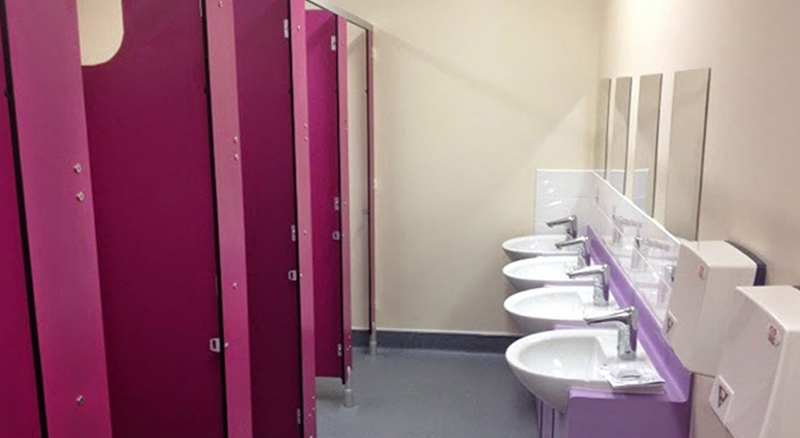 The case of a boy’s tragic death at Napier school in 2016 turned the spotlight on designing school toilet cubicles with ceiling level space for added safety. 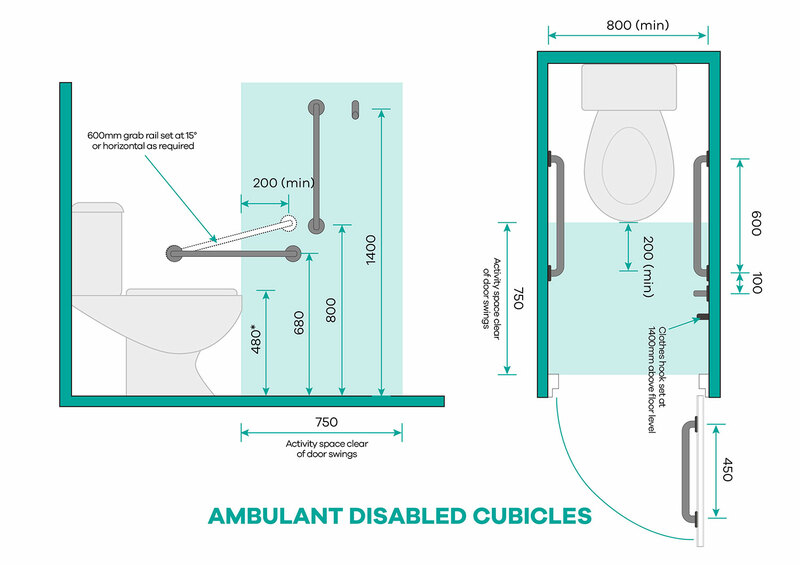 Where possible, install cubicles with ceiling level space that ensures emergency access and discourages antisocial behaviour. 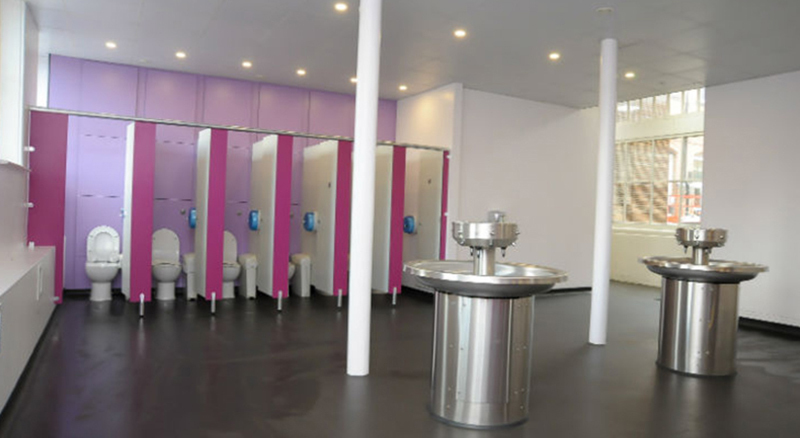 How Many Toilet (WC) Pans and Washbasins Does Your School Need in New Zealand? 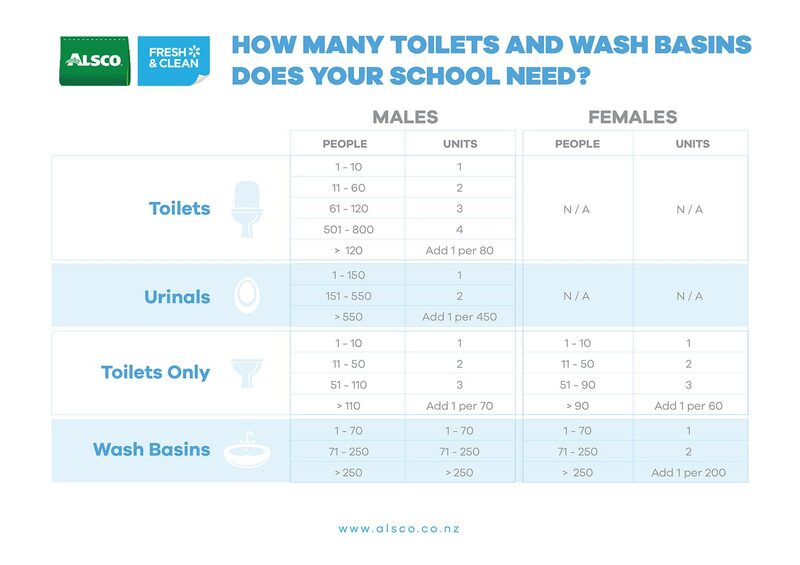 New Zealand’s Ministry of Education’s regulations don’t specify the minimum requirement for toilet (WC) pans and washbasins in schools. 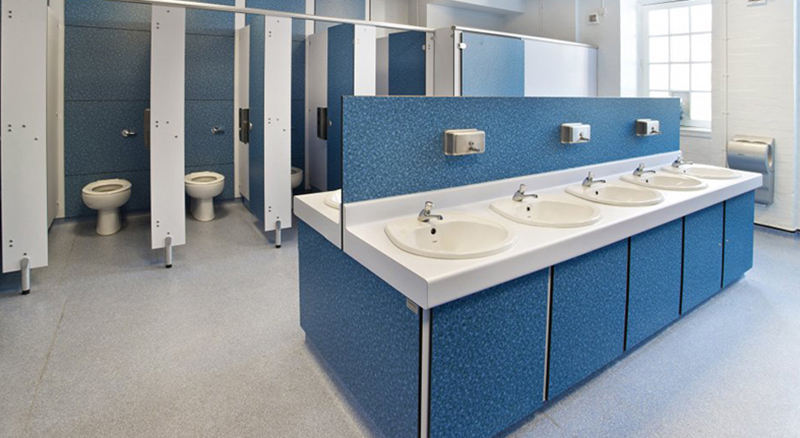 However, there are government guidelines that serve as a reference when designing or refurbishing school washrooms. 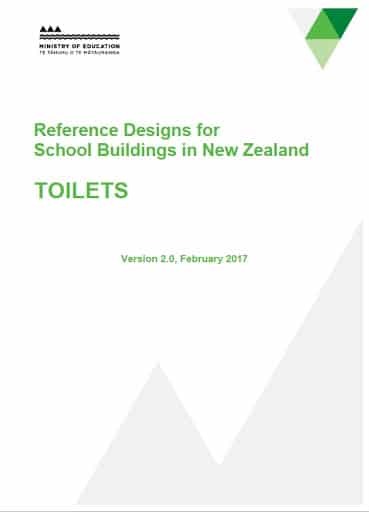 Here are the general requirements for school washrooms required by the Compliance Document for New Zealand Building Code. 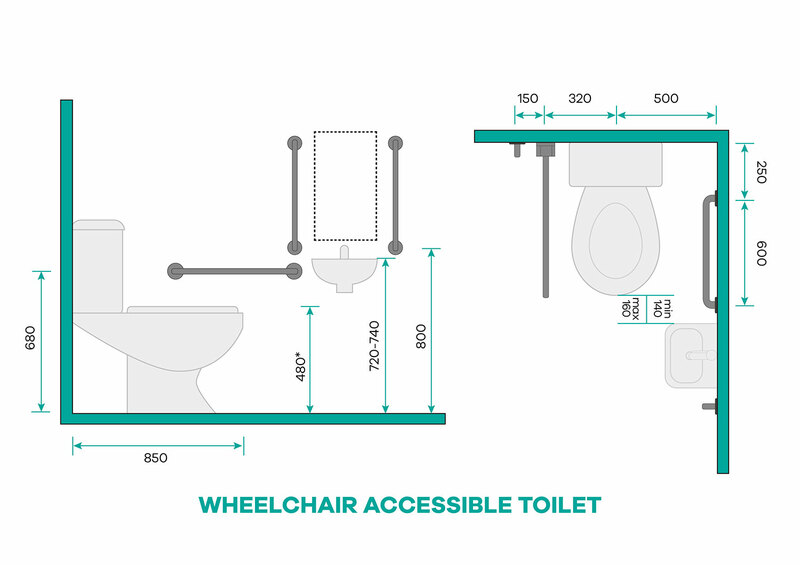 This table helps calculate the required number of toilets for staff and students, as well as the ideal staff and student toilet ratio. 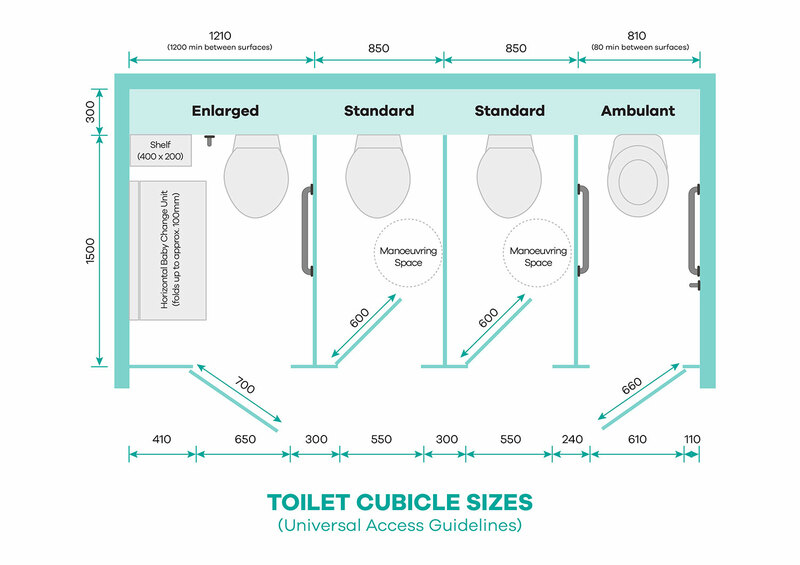 What Are the Standard School Toilet Cubicle Sizes for New Zealand Schools? 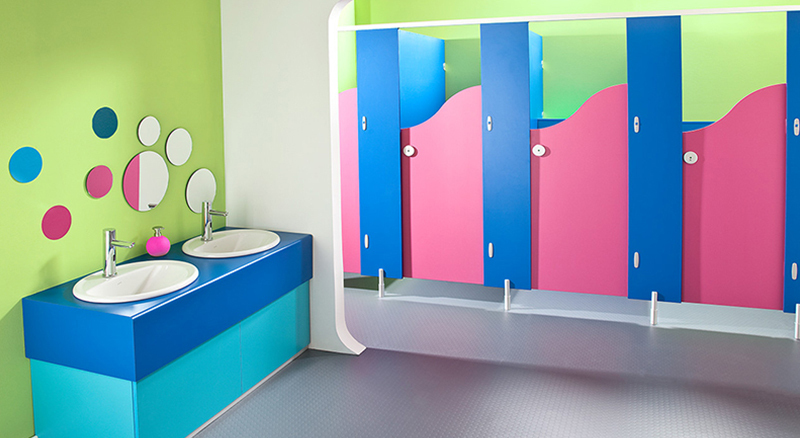 School sanitary facilities should be designed specifically for children. 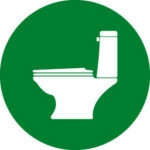 Fixtures, fittings and toilet accessories should be placed at a suitable height. 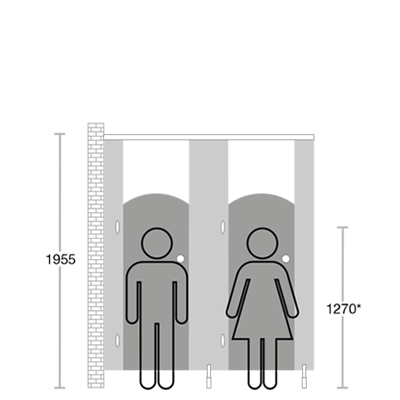 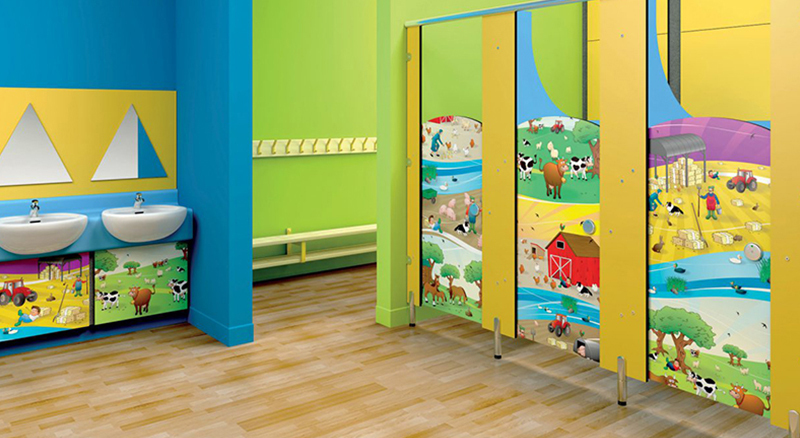 Cubicles should be sized according to different age groups using them. 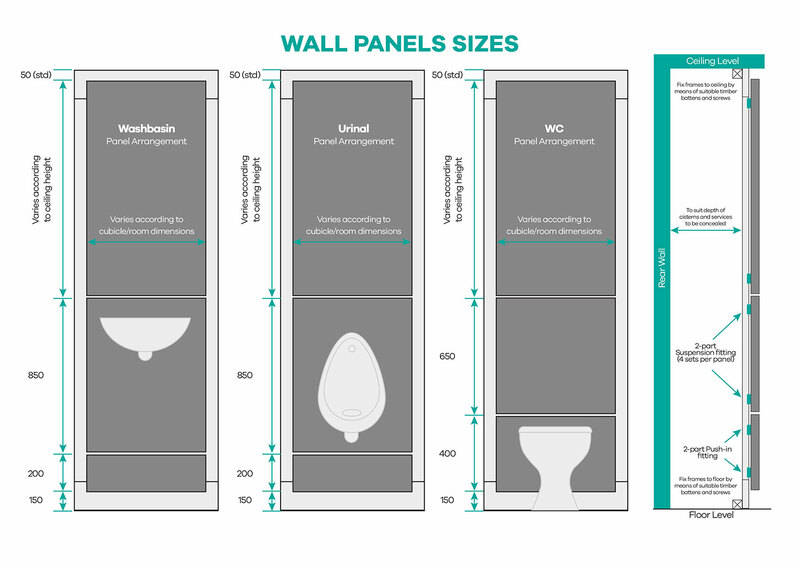 Here are the recommended measurements of toilet cubicle doors and walls in relation to different median heights within different age groups. 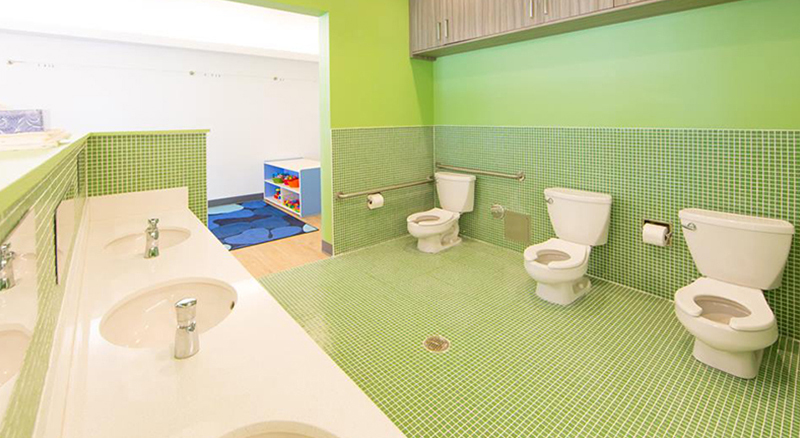 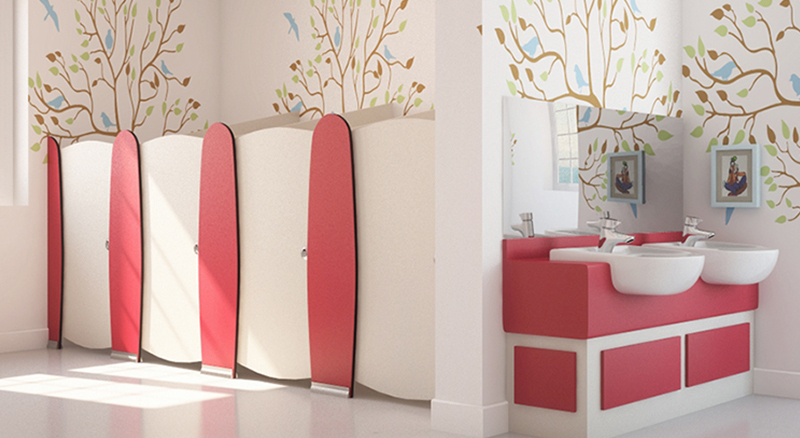 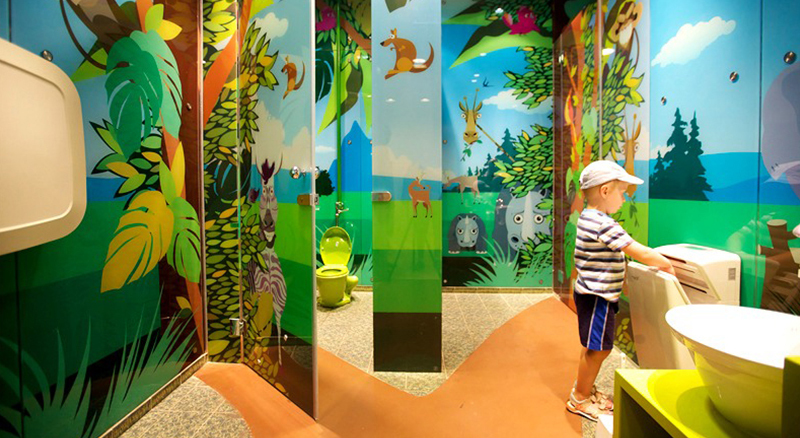 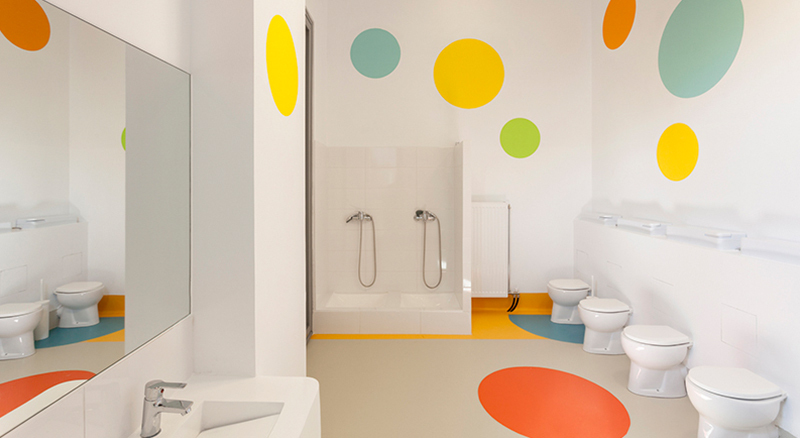 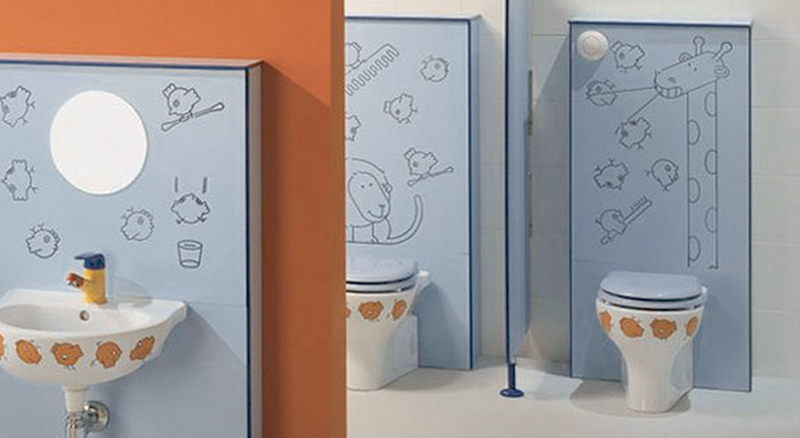 Design layouts for daycare/preschool washrooms must conform to the industry standard which meets the recommendations for early-age child-care facilities. 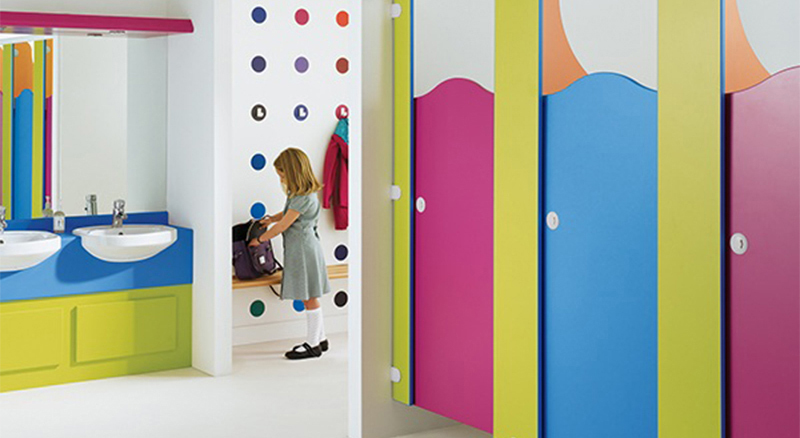 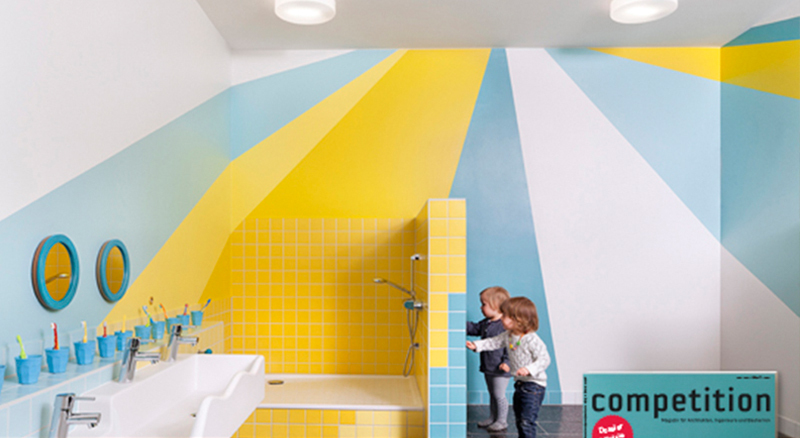 Ensure your chosen design will stand up to the rough and tumble of pre-school kids. 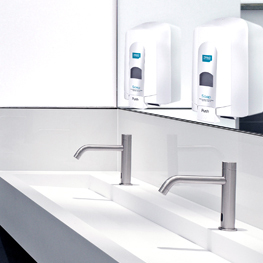 Hand hygiene is vital to your school’s health and well being, and Fresh & Clean offer individual hand care programs to suit your specific needs.